How to prevent the selection while pressing rightclick ? You can prevent selection when right clicking in SfDataGrid by customizing the SelectionController and overriding the ProcessPointerPressed. 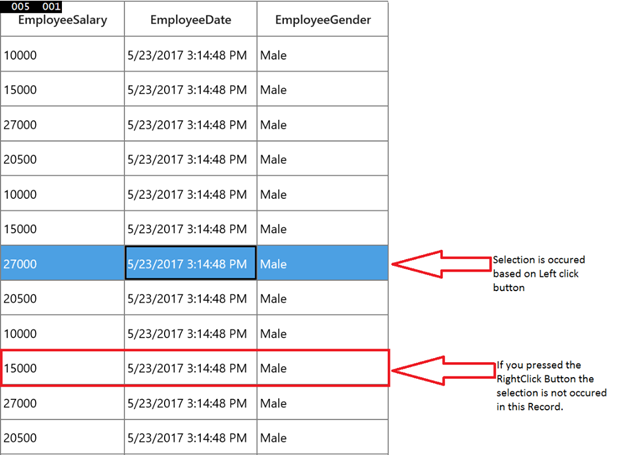 Refer the below code example in which the row selection for SfDataGrid is skipped when the IsRightButtonPressed property is true.